Why am I writing a blog on Myanmar (also called Burma)? 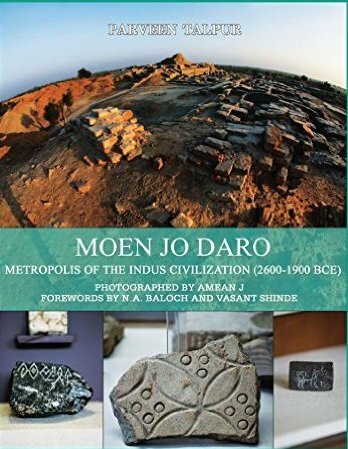 What has it got to do with Pakistan or the ancient Indus civilization? Myanmar is a Buddhist country, in a few previous blogs I have already explained that Buddhism represents a resilient nonviolent philosophy which may have originated in Pakistan’s remote past. Some of the earliest evidence, predating the period of Gautama Siddhartha Buddha, is preserved in the 5000 year old archaeological sites around River Indus. The mountain walls of the Kirthar Range, between the provinces of Balochistan and Sindh, depicting images of stupas, lotus flowers and swastikas, were engraved in an era that goes even beyond Indus Civilization. In the historical period, therefore, it was logical for Buddhism, as we know it, to flourish in the Indus and Gandhara region. This is verified by several sources including the accounts of two famous Chinese pilgrims; Faxian (approx.337-422 CE) and Xuanzang (approx.600-64 CE), who visited these regions and listed thousands of Buddhist stupas and monasteries. In fact Sindh had been a stronghold of Buddhism even after the Muslim conquest in early eighth century and the peaceful coexistence between the Muslims and Buddhists lasted throughout the Muslim rule in Sindh. Buddhism may have been expelled from India but it was flourishing with a greater vigor from Burma in the west to Japan in the east and from Tibet in the north to Sri Lanka in the south. Many of us know of Myanmar of that period through the writings of Somerset Maugham, Pearl Buck and of course George Orwell. In “Burmese Days” we learn of politics and society at a time when the membership of a native to a British club was one of the highly debated issues. Pakistan, the ancient home of nonviolence, where Buddhism, Jainism, Gandhism and Sufism could easily thrive had also seen its religion being used for political purposes since the decade of 1980s when the Soviet Union occupied its neighbor Afghanistan. The repercussions of a distorted and militant Islam created to combat communism is now reaching the Arab world and disturbing the global peace. The peaceful citizens of the world are not ready to see the misuse of yet another great religion. In Burma it is just the beginning, if we are to learn a lesson from history we have to stop it now. The much awaited Parliamentary elections in Myanmar are over and the polls are closed. . Results will show how fair and free this election has been. There are fears such as a voters’ list in which ‘dead people have been listed, and many of those alive not included.’ More than that in the elected Parliament un-elected military representatives will take up 25% of the seats and will have a veto over constitutional change. . Amid all these fears it is still hoped that Myanmar continues to remain a land of golden pagodas and peace, images of blood and burnt bodies appear too sharp against the nonviolent background which radiates from the hearts of its people.